IWT’s Cargo-Guard division contract manufactures quality railcar liners as well as custom dump truck liners, dump trailer and roll-off container liners for safe, reliable transport of contaminated materials. 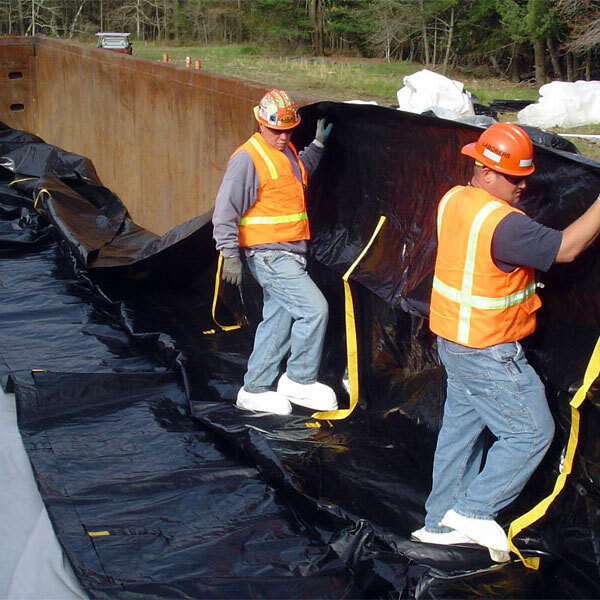 We design our Black Stallion® railcar gondola liners for easy installation while ensuring a secure, sift-proof package to the destination landfill. With sufficient lead time, we can also design custom railcar liners and covers for specific projects. 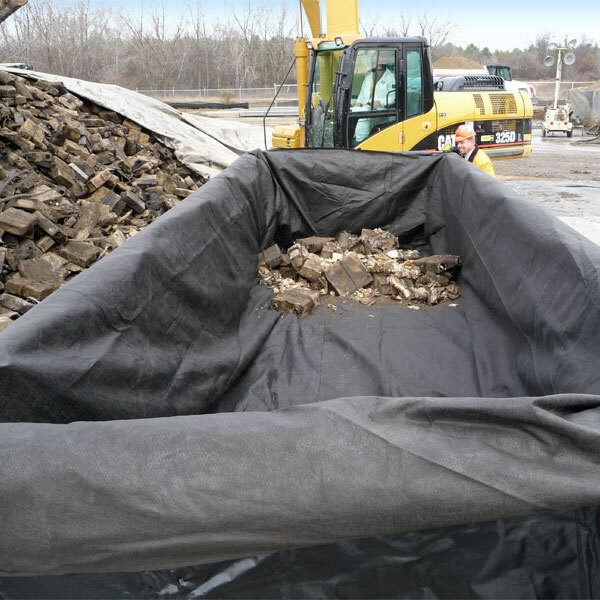 In addition, our liners are currently in use at several superfund sites. References are also available upon request. 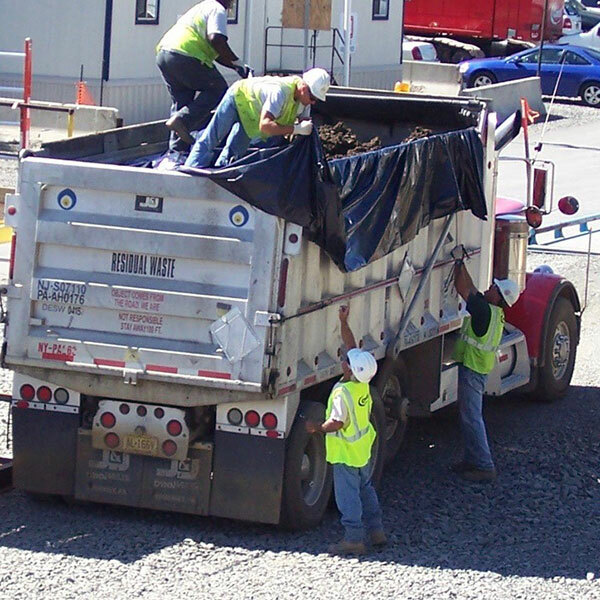 Please contact us at 609-971-8810 so we can help you design a cost-effective, dependable containment solution for your waste transportation needs. IWT’s Cargo-Guard division contract manufactures quality railcar liners as well as custom dump truck, dump trailer and roll-off container liners for safe, reliable transport of contaminated materials. 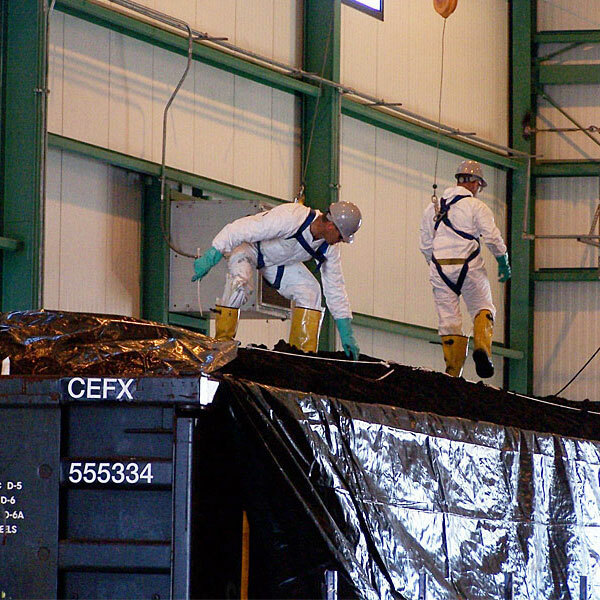 We design our Black Stallion® railcar gondola liners for easy installation while ensuring a secure, sift-proof package to the destination landfill. With sufficient lead time, we can also design custom railcar liners and covers for specific projects. RCL 313- the new Load Wrap-N-Lock design allows the liner to be adjusted to the height of the load while eliminating the need to tarp the load. Closure method incorporates buckles as well as seat-belt webbing to LOCK the load in place. 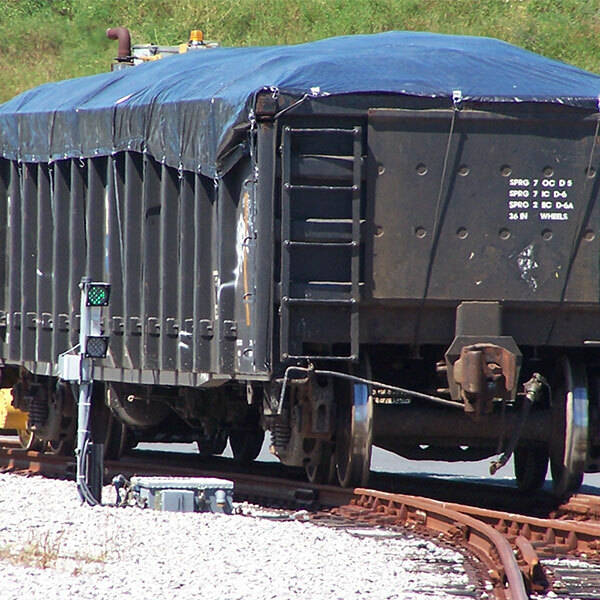 RCL 319 – standard 53 ft. fitted railcar gondola liner in a 13 mil reinforced fabric. Features both large cover flaps and a zip tie closure method to secure the load in place. We package and design our Black Stallion® railcar liners for quick and easy installation into your rail car. We also include detailed instructions and selected closure accessories with every liner. 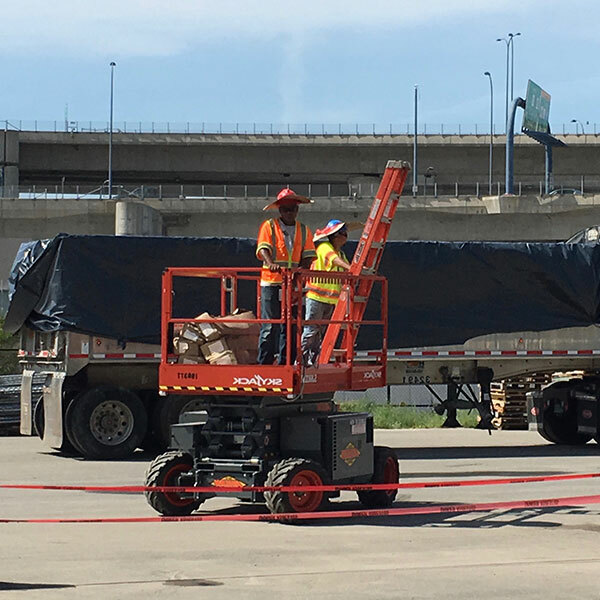 From standard fitted non-reinforced polyethylene liners to our custom Black Stallion® liners you can rely upon us to provide a safe, reliable waste containment to the destination. Ask about our new cost-effective reinforced liner with a one-step tape closure method! Non-reinforced polyethylene liners form fitted to the container size in thicknesses ranging from 3 mil to 10 mil. Quick and easy installation from inside or outside the container. Quantity discounts available. We package and design our dump truck and roll-off container liners and covers for quick and easy installation. We also include detailed instructions and selected closure accessories with every liner. GOT A FREE LIQUID PROBLEM? Contact our sales office at 609-971-8810 and ask us about super absorbent polymers.